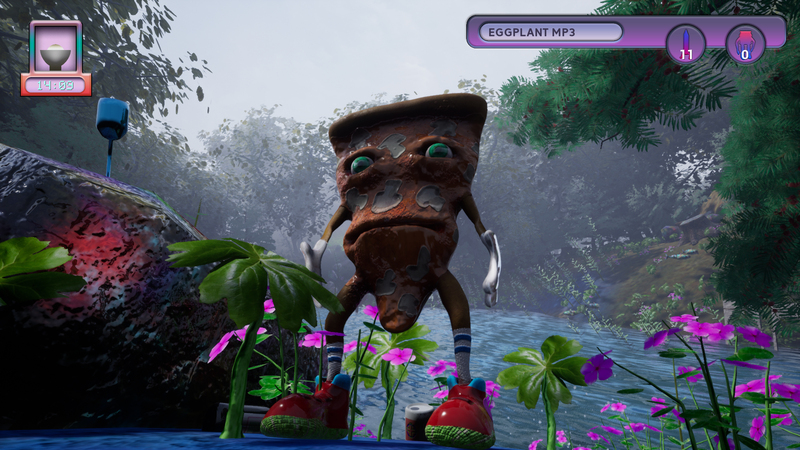 A pizza slice has an existential crisis and goes for a walk through a mysterious forest made up of plants and trees used to make chemotherapy drugs. 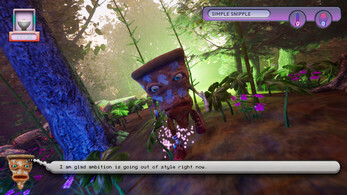 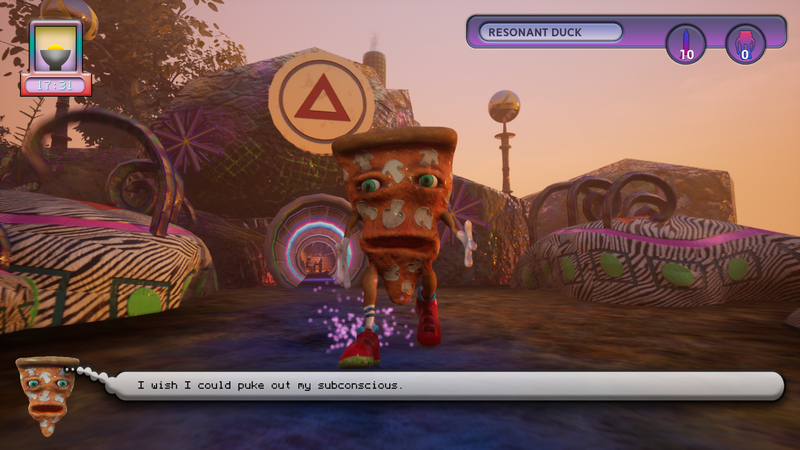 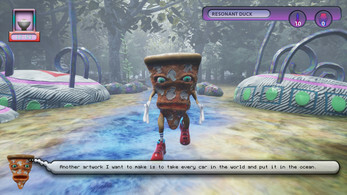 You can walk with the pizza using W/A/S/D+mouse+buttons or a game controller. 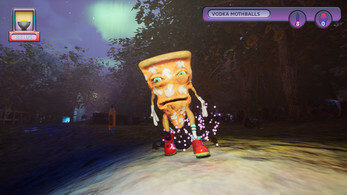 You have a flashlight for when it gets dark and can throw things and grab things with mouse buttons or game pad face buttons. 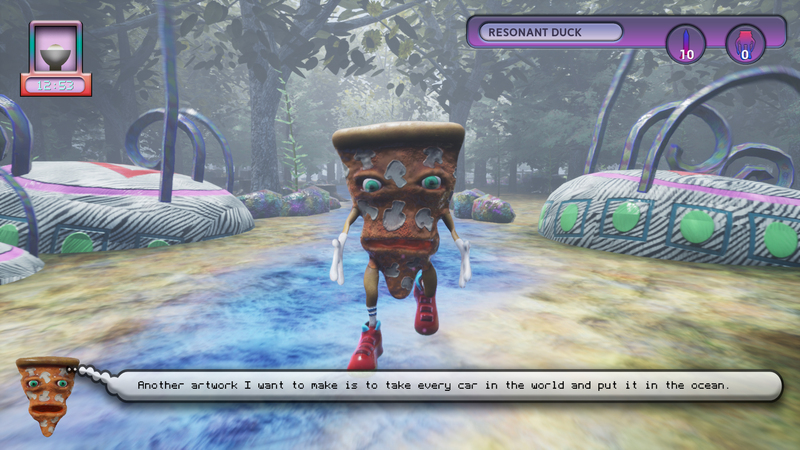 Leave idle for around 30 seconds to let AI take pizza over. The entire walking simulation takes around 20 minutes or so.